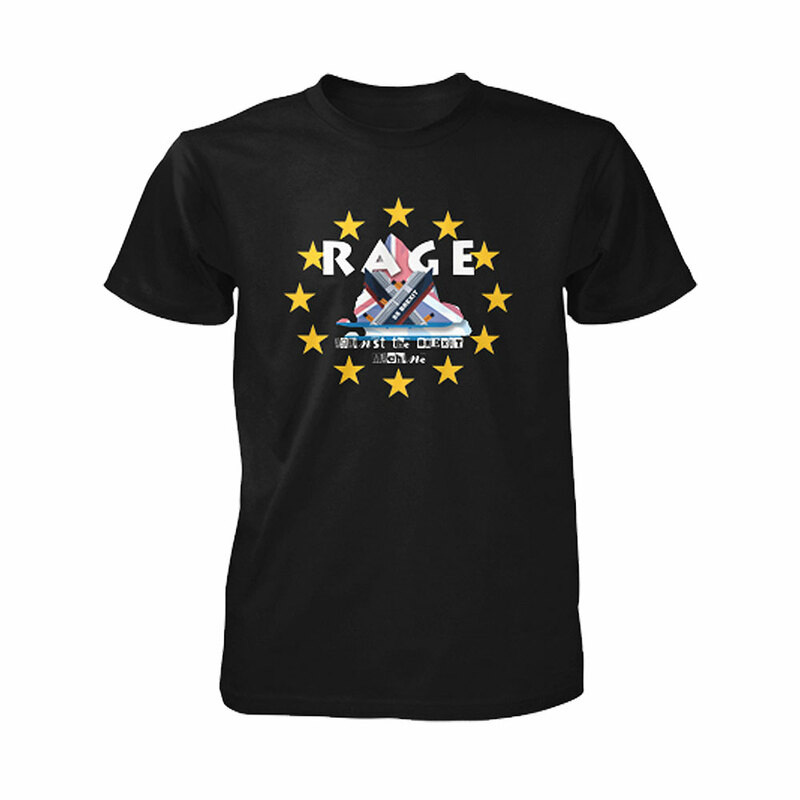 'Rage Against the Brexit Machine' T-Shirt in Black. It’s all the Rage. 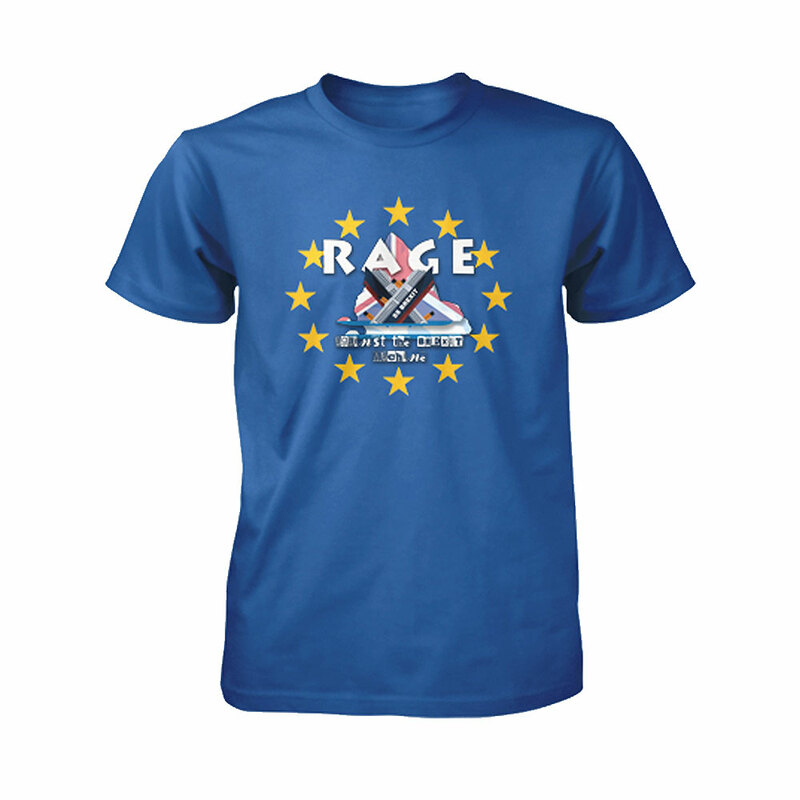 Stop Brexit with our Rage Against The Brexit Machine T Shirt and be a founder member of a grassroots campaign to fight Brexit populism with pop music. Join the movement at Facebook “RATBM" with the songs “Pants To Brexit” - A Europop Classic, “No Jeremy Corbyn” - Hard Rock to stop Hard Brexit (actually all Brexit) and "Jacob Rees Moog” - an 18th Century Tory dance floor synthpop groove.